On Monday, violence erupted in Arua Municipality after supporters of one of the candidates allegedly attacked the convoy of President Museveni. In the ensuing violence, one person, Yasin Kawuma, a driver to MP Robert Kyagulanyi (aka Bobi Wine) lost his life. 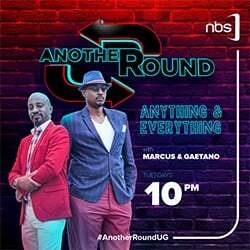 The version of what exactly happened in Arua changes depending on who you listen to. The NRM has blamed the opposition while the opposition blames the zealousness of a “partisan” security forces. This has created heated debate and below we reproduce one of the debates between Don Wanyama, the senior presidential press secretary and Andrew Karamagi, a political activist and member of the opposition. My friend Yasiin Kawuma’s life was brutally ended last night in the same way that many innocent Ugandan lives have been ended by your blood thirsty master, Yoweri Museveni, and I realize that I could have very easily been the one sitting at the steering wheel of that vehicle for reasons I’ll give in subsequent paragraphs of this crier de coeur to you. During the Campaign for Free and Fair Elections in 2015,Mathias Mpuuganarrowly survived a bullet to the shoulder thanks to the quick reflexes of a young man who shoved him away into a nearby building whose wall exploded as the killer round shattered the brick and mortar. 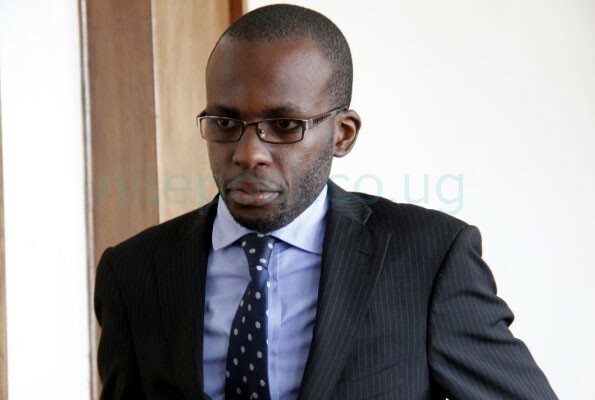 Was Mpuuga throwing stones at your master Museveni? Without provocation,Mwijukye Francis,Kalema Shaban Senior,Nyanjura DoreenNyanjura Doreen Amooti,Bobi Kyagulanyiwere (and still are) routinely beaten and the former was once shot in the femur—were they ever found throwing stones at your president? How about the two-year-old baby Javiirah Nalwanga who was shot dead in Masaka by a “stray” bullet?! In the same year during the election for Ntungamo Municipality Member of Parliament, operators from the Special Forces were deployed and I remember seeing one soldier bludgeoning the motionless body of an old woman who was fleeing the violence—I have never been able to find out whether she survived the savage beating. Tell me Don, was this old woman also hurling stones at your president? 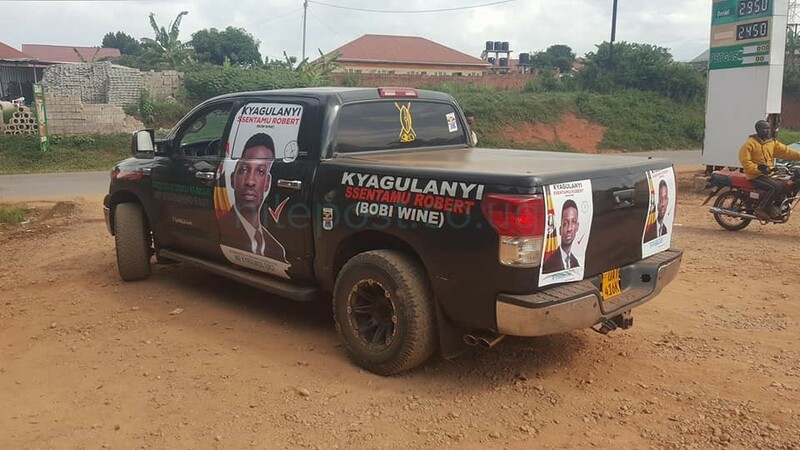 During the recent by-election in Jinja East where I volunteered for Mwiru Paul’s campaign, I was tasked by Gerald K Karuhanga to follow a vehicle that was transporting ballot boxes to the tally centre and ensure that the results aren’t tampered with along the way. A soldier pointed his gun at me in an effort to get me to stop trailing them. I got worried but continued following the car up to the tally centre. This was particularly risky because I was by myself and was driving in a secluded area of the township—had I been shot, they’d have accused me of having confronted them (like they have done with Yasiin) yet all I was doing was vote protection which is a legitimate part of electoral processes more so when rigging is the order of the day. Don’t follow this corpse to the grave my brother. I saw the note you wrote to me. I should have responded much earlier but there were more important issues to attend to. Now that I have a few minutes to spare, let me address some of the issues you raise. First, I want to commend you for the flawless English language grammar. Like Achebe would say, “yours is not the English of it is and it was”. 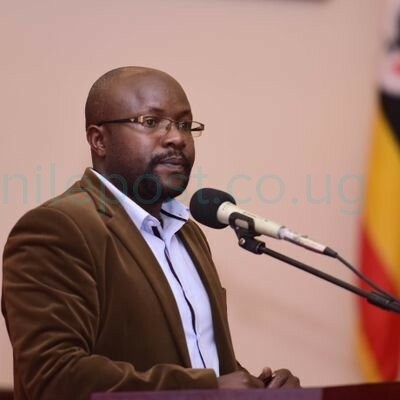 You write, “My friend Yasiin Kawuma’s life was brutally ended last night in the same way that many innocent Ugandan lives have been ended by your blood thirsty master, Yoweri Museveni”. It is sad that a life was lost. My sincerest condolences to Yasiin’s family. I pray his soul finds eternal repose. Whereas you are entitled to your opinions and diction, any sane reader will know that to describe President Museveni as “blood-thirsty” is a falsity. It is nowhere close to the truth. I will not bore you with a lecture on this country’s political and military history, which I know you are very conversant with, but if you chose honesty above political expediency and populism, you would know who the real blood-thirsty leaders this country has had. But I know it is not lost to you that there was a time when this country was a slaughter field. When the institutions of State mandated to protect and safeguard lives, became the very tools of destruction and mayhem. These were not cases of individual errant officers or men, no. This was state-orchestrated violence against its own citizens. The result? In a period of two decades (1966-1986), over 500,000 Ugandans were killed, with millions others displaced, turning into refugees in the region and beyond. I see that your write-up is littered with anectodal references to your experiences. Allow me let you know that I know the ignominy of living in exile and being a political and economic refugee, for my family was one. Speak to any Ugandan family or adult that has been through this and they will tell you that it is a situation one should never find themselves in. 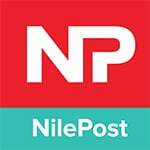 Uganda today is not El Dorado nor is it Disneyland but neither is it the hopeless, basket case that had become the laughing stock of the continent. The man you call “blood-thirsty” while ascribing other expletives, is the one behind this country’s turn-around. There are two key markers to this line; peace and stability, plus economic progress. Like they say nowadays, if you know, you know. I will not respond to each specific election violence case that you raise but I could see an attempt at creating the impression that elections today are all about about guns and violence. Perhaps it is a question of coincidence that wherever you have been, there have been incidents of violence. But I can tell you that I have personally observed hundreds of elections in this country, since 1996, which have passed peacefully without incident. Several of them, like the Bungokho North (my home constituency) parliamentary one in 2016, were won by an opposition candidate. There could be areas of improvement but by far and large, elections today are a reflection of a people’s will and choice. For someone like you who claims to be a democracy advocate, I expect you to make this admission though I know you will not. Like your friends in the opposition, you only agree with results when they go your way but will raise hell when you lose. About Arua. I urge you to read President Museveni’s statement that he’s put out this morning. Whereas the President has chronicled what transpired, and the fact that had his bodyguards responded with fire after the Bobi Wine crowd stoned his convoy there would have been worse casualties, what he has not stated is the increasingly disturbing behaviour of Bobi Wine. There is no doubt he’s a possessed attention-seeker, perhaps stemming from his music background. One would conclude that he is suffering from political arrivalism. When you make childish confrontations the mainstream of your political agenda, then you will have the unfortunate incidents like we saw in Arua on Monday. 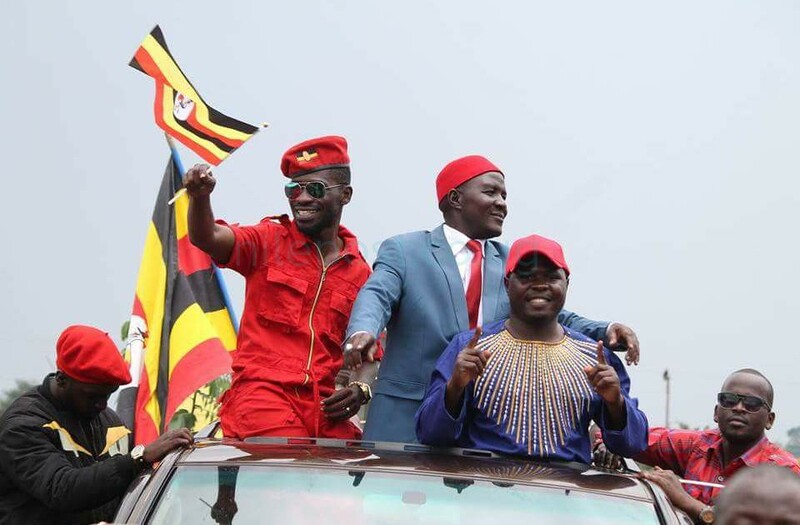 I guess by now you have seen your opposition colleague, Salaam Musumba’s lamentations about Bobi Wine’s behaviour. He led his group to take over an FDC rally venue in Mvara SS, obstructed them in Ediofe and later tried to disrupt a rally addressed by Dr Kiiza Besigye at Arua Primary School. It is the same group he led to confront and stone the President’s convoy as it made its way out of Arua town. He then led the same group to cause mayhem in the middle of town, targeting supporters of other political camps. From your writing, I notice that you have a relationship with him. Please tell Bobi Wine that his tactics are now known. He might have caused a death in Bugiri and won a sympathy vote, and was perhaps hoping to do the same in Arua, but it won’t be long before he is exposed. As a text technologist, did you notice that his tweet about Yasiin’s death had a celebratory tone to it? It was more like, yes, I have caused another death and my political capital will rise?! The bottom line though is that Bobi Wine is not above the law, even when he might hide in a ceiling. I am surprised that your piece did not condemn this kind of political impunity. Let me conclude with this. Learn that Uganda is under a multi-party dispensation and what we have is a marketplace of political ideas. Not everyone will toe your line. And when they do that, it is not because they have sold souls to anyone. But since you believe one can’t hold or support a position until they have been paid, can I know how much you were offered for yours? How much have your funders in the civil society and the opposition offered for you to speak for them?